On the left map, we grouped Bicycle Races that are located close to each other into small circles. Now, you can locate all Bicycle Races on the map at the same time. You can also drag & zoom the map. Circle numbers - Count of Bicycle Races that are located in and around that circle. Colored circles - Bicycle Races that are displayed in the list below. Grey circles - Bicycle Races that are displayed on next page(s). Half colored circles - Some Bicycle Races in that circle appear in the list below and some on next page(s). Click on circles to zoom in or highlight Bicycle Races . Formerly The Walburg Classic, the Bat City Classic is brought to you by the same organization on a similar course. 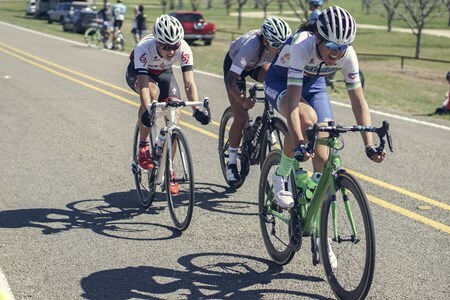 This is a true spring classic bike race involving wind, rolling hills, ... morefalse flats and a 2-mile stretch of "Texas cobbles" (CR 302) around historic Apache Pass, just outside Rockdale, Texas. Packet pick-up will be held at The Peddler Bicycle Shop, 10526 W Parmer Ln, Austin, Tx 78717 on Friday 2/26, between 4-7pm (no race day registration will take place). Race packet can be picked up on race day at Apache Pass. Come join us for our annual Ray Porter Memorial Race this February 27th! We continue our mission and will be raising funds to help families to Commit to the Fight against cancer. We ... moreneed your help! Come join us for an awesome day of racing in beautiful Tyler State Park and experience an atmosphere that is second to none. Challenge yourself on Champions Climb and Stairway to Bacon, come throw down some moves in our party pit, and enjoy the many other fun sections of trail that have been decked out for your riding enjoyment. Race all 6 hours, or just ride a lap, every participant helps! We will have other ways to be involved as well. T-shirts will be for sale on-site. There will be a point value for each event of the series. Must do three events to qualify. Points available will be dependent on the stop. Estimated top points: 55,50,50,50,60. The emphasis will be on 2 day stops and the finale. Best 4 out 5 results for series overall titles. Top notch timing to the thousandths of a second. Ride with friends, start when you want, flying starts, and relaxed atmosphere. All events with have a festival vibe with music, food, drinks, and fun! 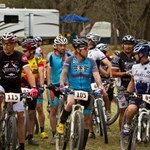 Registration is limited to a total of 140 racers and 20 Enduro Experience riders. 1. The first 100 spots get introductory price. 2. The next 40 spots are only $10 more. 3. If you miss one of the 140 race spots, or simply want to be a part of the event, the Enduro Experience Class (20 spots available) is an option for you to see if enduro riding fits your style without the pressure of racing. 5. 6 Championship classes / 2 bonus classes. 5 Stops: There are TWO – 2 day stops (8 stages) & THREE – 1 day stops (10 stages). Points available will be dependent on the stop. Top points: 55,50,50,50,60. The emphasis will be on 2 day stops and the finale. The series is designed to continue growth in the enduro style of riding and continue to keep it fun while providing a professional event. We will continue to grow the series and add other great events in years to come. We already have two other very cool venues we hope to add in 2017; look for stand-alone test events later this year. 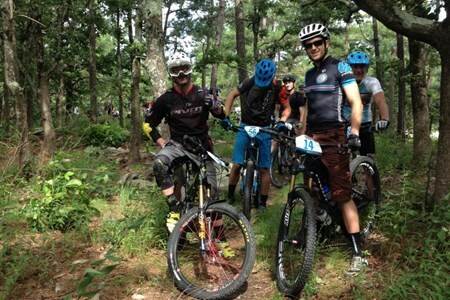 Now time to practice….ENDURO! 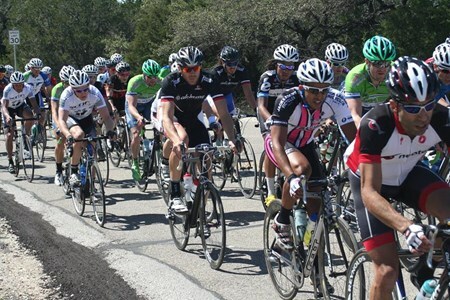 Pace Bend Road Race is an annual road race hosted by and benefitting Boneshaker Project. This is a family-centric cycling event with both racing and relaxed, fun options for kids as ... morewell as adults. 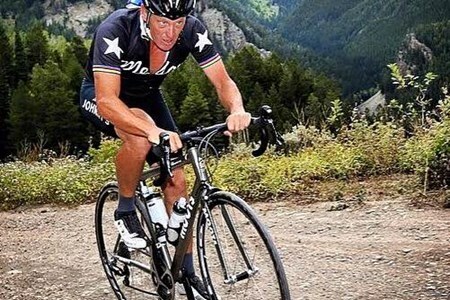 All USA Cycling Rules are in effect. 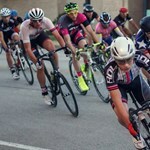 This event is part of the TXBRA Texas Cup – Elite event where points are calculated. Same racing schedule for both days. 5.5 mile loop: clockwise on Saturday, counter-clockwise on Sunday. Saturday/Sunday reg. opens at 6:30am at the start/finish area & closes 15 minutes before each race. ($10 one-time late fee for race day registration covers both days of racing. Riders entering the junior races are exempt from the Late Fee!). Credit cards accepted with surcharge. A variety of food will be available onsite, as well as from local restaurants. One day & annual licenses are available at registration. Riders holding foreign licenses must present a valid 2016 UCI license in order to be eligible to race. Expired licenses will not be accepted. 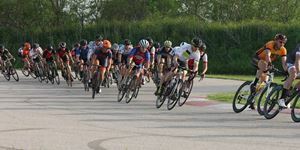 The Mellow Johnny's Classic is a fantastic 2-day event with food vendors, exhibitors, plenty of parking and race categories for riders of all ages and abilities. We look forward to seeing you there! Race Dates: Saturday, March 5th for Junior 12 and Under (3pm) | Saturday, March 6th for all other categories (9am - Pro / Cat 1 / Open; 11:30am - Cat 2; 1:30pm - Cat 3). A limited amount of lodging is available at the ranch in a few cabins and at the Cypress Lodge. All Rooms are $80 per night with a two night minimum (Friday and Saturday nights). Limited camping is also available. $15 per tent per night. 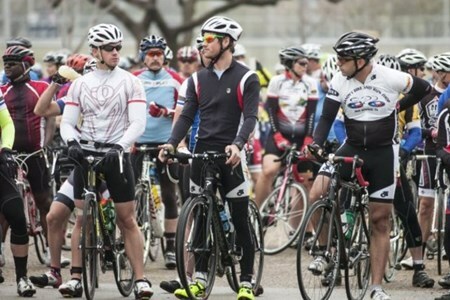 The fifth annual Tour of Corsicana will be held on March 12-13th in partnership with the Corsicana Chamber of Commerce. Racing starts Saturday morning with a five mile individual ... moretime trial. Racers are allowed to use all available USAC sanctioned speed weaponry, including aero bars, in their battle against the clock. The course is point to point with relatively flat terrain. Stage two will be a battle in the streets of downtown Corsicana. 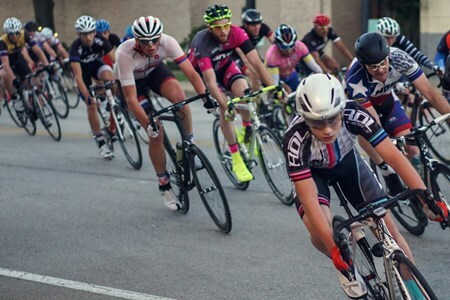 The one mile, eight corner criterium course is renowned for its historic brick streets. A victory on Beaton street is no small achievement. The course is extremely spectator friendly with a planned beer garden and local vendors offering plenty of dining and shopping opportunities for all. Racing will continue into the evening and will be held in conjunction with Corsicana's Second Saturday celebration which will include live music, food trucks and a classic car show. Racing downtown will start in the early afternoon and wrap up around 10 pm. Sunday is the queen stage of the Tour of Corsicana. 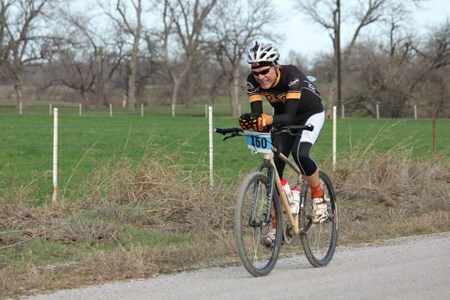 Racers will be treated to a grueling 22 mile loop across the Blackland prairies southwest of Corsicana. 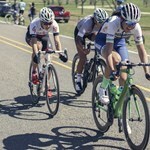 As racers of the 2013 Tour of Corsicana can attest, weather can play a factor in how the race unfolds. Be ready for strong winds and broken spirits. Depending on the class, racers will complete 22 to 88 miles. Those who are victorious at the Tour of Corsicana will be awarded rightfully. As with years past, racers will be competing for custom leaders jerseys, cash and the chance to take home the much coveted brick trophies. Come join us for a weekend of epic bike racing and good times! The little ones will have a great time Saturday too. They'll have their own race through the streets of downtown Corsicana. Kids race starts at 3:00 and its free to all. Kids (11 & under) just need to bring a helmet and a bike and have a guardian sign a waiver. We'll have a free drawing afterwards where we will be giving away three kid's bikes! Packet pickup will be available Friday night 7-9 at the Corsicana Hampton Inn. It will also be available at the Time Trial Saturday morning starting at 7:30. Each race reflects the unique characteristics of the region – scenic courses & local culture. This one-of-a-kind ultra-race series is designed to provide the opportunity ... moreto go beyond the normal gran fondo length rides and test your limits of endurance. The RAAM Series is also the ideal testing ground for moving your way through increasing mileages, working with your crew and helps prepare you for the ultimate goal, RAAM, if that is in your cards. Both the 200 & 400-mile course options are available to race with or without support crew. We recommend racing with a support crew, if you opt to race without a crew, you must obtain permission from the race management. All racers will receive detailed route information (printed cue sheets, GPS is available through the website), live results (time splits) and statistics through RaceResult.com, race signage for your support vehicle (race numbers and Caution Bicycles Ahead decal), in addition to an event T-shirt & other swag, a lunch ticket for each racer and 2 additional for crew (more may be purchased at the event). All official finishers will receive a custom medal and official jersey. All official 400-mile finishers will be RAAM Qualified. Functional front and rear lights (+spare batteries), reflective tape appropriately placed on you bicycle(s) (see Endurance Racing Primer). Reflective clothing (vest and anklets, recommended), if you are racing without a support crew. Support vehicles must have amber flashing roof lights & reflective DOT triangle (we will have some available for rent on a first come, first serve basis), operable four-way flashers & turn signals, proper insurance. March in the Hill Country is perfect cycling weather. March days are typically mild, warming and by the end of the month the Bluebonnets and Indian Paint Brush are blooming. Mornings can be foggy. The fog burns off giving way to bright sunny days. While sunny days are the norm, it’s not unusual to experience a rainy day in a week of cycling. So, be prepared for wide ranging conditions. Always remember your normal cycling gear (shorts, jersey, socks, shoes, gloves and helmet). And, while the weather is normally very nice, it’s always a good idea to come prepared for cooler weather and/or rain (base layer, vest and/or jacket, knee warmers). Sunglasses, sunscreen, lip balm, cellphone, water bottle(s), pump (or CO2 cartridge), patches, tire levers, spare tube(s), basic bike tools. *ALL RACERS and/or CREW must attend the race meeting on Friday evening. PACKETS: May be picked up 2 days prior to event until 4:30p.m. at Community Services, 633 Walnut Street or on the day of the event from 7:00-9:45 a.m. at Nelson Park. Packets will not be held longer than March 31 or be mailed for those who miss the event. Packets will include a t-shirt (if you were one of the first 200 entries), ride information sheet, route maps and other related information. AWARDS: Will be given to the first three places in each division for women, men & tandems registered in 48 mile race. Awards will also be given to the first three male and female finisher in the 32 and 12 mile fun rides. TIMING & PLACEMENT: Timing for all riders will be done through Cadence Sports. 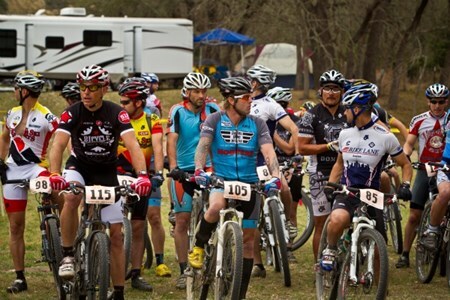 Presented by South Texas Off Road Mountain-Bikers (STORM) FLAT ROCK RANCH is located just outside of Comfort, Texas in the beautiful Texas hill country. In 1999, STORM built and maintained ... moremountain bike trails at Flat Rock Ranch. 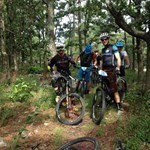 There are over 27 miles of sweet single-track with epic switchback climbs, technical sections and sustained descents. The trails offer stunning views of the surrounding Texas Hill Country. Visit www.flatrockranch.net for information on land access fees, camping and driving directions to the ranch. Flat Rock Ranch DOES NOT ALLOW DOGS. FOOD & Drink – Vendor will be onsite Sunday serving burgers and brisket sandwiches; complimentary beverages from Pedernales Brewing Co. for adults over 21 with valid ID. FRIDAY March 18 - XC Courses open for pre-riding all day. SATURDAY March 19 - XC Courses open for pre-riding all day. Bicycle races calendar for finding bike races. Search weekly bicycle races events of all skills levels and ability from beginners to advanced cyclists. Bike races range from beginner’s 10K to advanced endurance races of 100 miles and multi-day bike racing events. Find the bike race that best suits you on any given day: road race, cyclocross, mountain bike, time trial, criterium or stage race.